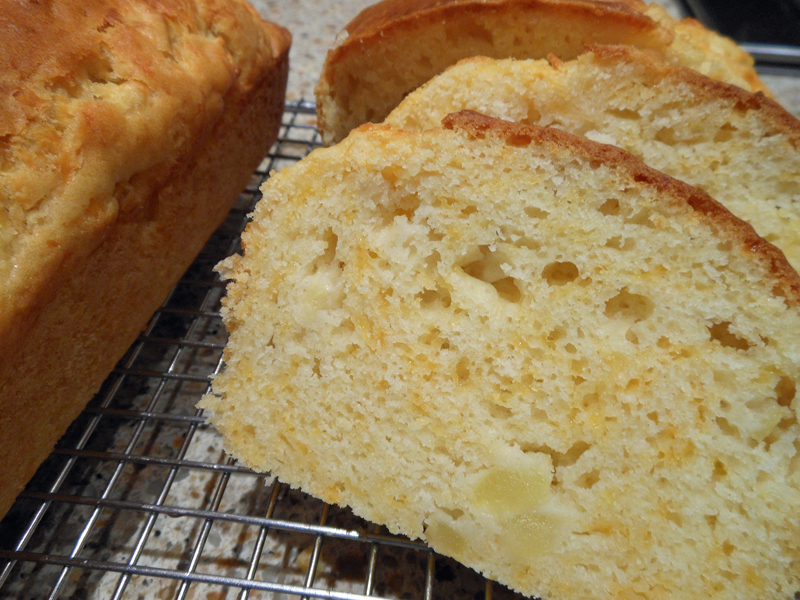 This is not a sweet bread, although it is lightly sweetened and delicious. My husband and I couldn’t stay out of it. So, so, good!! Combine flour, baking powder, salt and sugar in a large mixing bowl. Combine milk, oil, whole egg and egg yolk in a medium bowl; add to flour mixture, stirring just until moistened. Gently fold in apple and cheese. Divide batter between 2 greased 8″ x 4″ loaf pans. Bake at 350 degrees for about 40 to 45 minutes, until a toothpick inserted in center comes out clean. Cool in pans on a wire rack 10 minutes, remove from pans and cool completely. Store in the refrigerator. Makes 2 loaves.